INDIA’S digital services network To The New has announced the acquisition of Techsailor, a Singapore-based company offering social, location and mobile media services. Financial terms were not disclosed, but all Techsailor staff, including its three cofounders, will remain with the company following the acquisition, the two companies said in a statement. To The New employs nearly 400 people across Kuala Lumpur, Singapore, Chennai, Delhi and Mumbai. 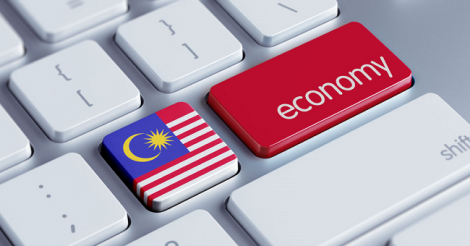 The company in turn is owned by Four Cross Media Ltd, whose biggest investor is Astro Overseas Limited, the investment arm of Malaysia’s satellite television company Astro. 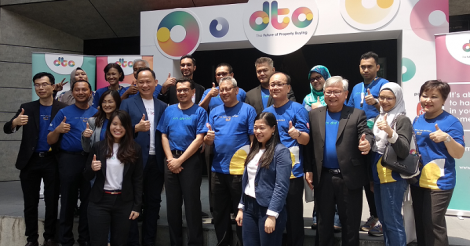 The acquisition is part of an aggressive expansion strategy by To The New to build an integrated digital services ecosystem across South-East Asia. To The New is also looking to invest US$10 million in the next two years to aid future growth in the region. To The New will leverage on Techsailor’s network and operational expertise to strengthen its presence in South-East Asia; and plans to augment Techsailor’s offerings by adding capabilities in digital content, media planning and buying, analytics and technology. To The New will also look to expand its network geographically and build further presence in Malaysia, Indonesia, Philippines and China, it said. “Some of the key markets in South-East Asia are similar to India, where consumption of digital media by young consumers is ahead of businesses,” said To The New managing director Puneet Johar (pic). “We see this as a huge growth opportunity and with the addition of Techsailor to our network, we hope to capitalize on this growth,” he added. Earlier this year, To The New had said it was going to invest US$13 million in its Indian operations over the next three years. “By joining To The New, Techsailor will be able to boost our service offerings to our clients, as we [will be] supported by a larger team and able to manage projects that span across Asia Pacific,” said Techsailor cofounder and managing director Rex Huang. “We are also delighted that Techsailor will be the primary vehicle for To The New to expand into the region,” he added. To The New offers digital and social media marketing, as well as web and mobile content creation and app development, through its business units Ignitee Digital Services Pvt Ltd, Intelligrape Software Pvt Ltd, and Tangerine Digital Pvt Ltd. It claims its network collectively manages the mandate for around 100 clients across Asia, in diverse sectors like BFSI (banking and financial services), automobiles, e-commerce, FMCG (fast-moving consumer goods), retail, sports, hospitality, and media and entertainment. Techsailor itself was set up in 2005 by Huang with Wayne Chia and Leon Leong joining in as cofounders shortly thereafter. The three alumni from the National University of Singapore (NUS) met up during the NUS Overseas College Programme, a year-long overseas entrepreneurial internship initiative. The company was first located at NUS Enterprise’s incubator, where it accessed mentorship support, and by 2009, set up its own office. NUS Enterprise is the university’s initiative that aims to provide an enterprise dimension to its teaching and research. “We wish to congratulate the Techsailor team on its successful acquisition,” said NUS Enterprise chief executive officer Dr Lily Chan (pic). “As more of our NUS Enterprise incubatee companies grow and venture overseas – either on their own steam or through mergers and acquisitions, we are seeing the impact of our experiential education and entrepreneurial support activities,” she added.